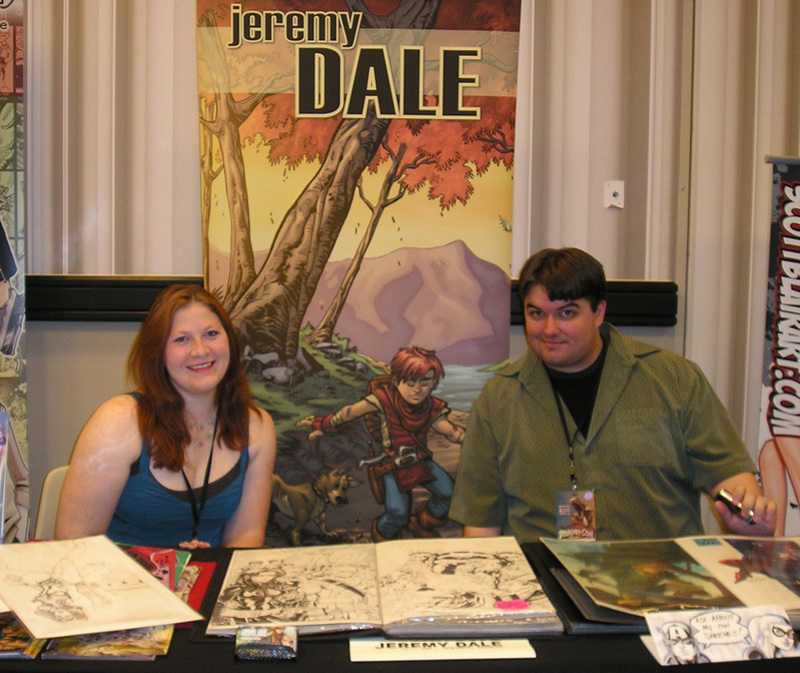 Jeremy Dale with wife Kelly at DragonCon 2010. Sad news, just heard that artist Jeremy Dale has passed away. I’m at a loss for words – Jeremy was truly one of the good ones. A talented artist and always greeted you with a smile. My thoughts and prayers go out to his wife, Kelly. I’ll leave you with a brief video of Jeremy doing a commission sketch at C2E2 2011.
to help Kelly with expenses. This entry was posted in Jeremy Dale and tagged C2E2, Jeremy Dale. Bookmark the permalink.